Income Opportunity – Best Deal! 8 Bedrooms. Private Compound w 3 BR + 3 Bath Home -plus- 5 Private Casitas! Pool and spa courtyard. 3 BR Home has living room, indoor & outdoor dining area, new Viking kitchen. A detached second building has a row of 5 spacious private cottage style 1 BR casita suites. 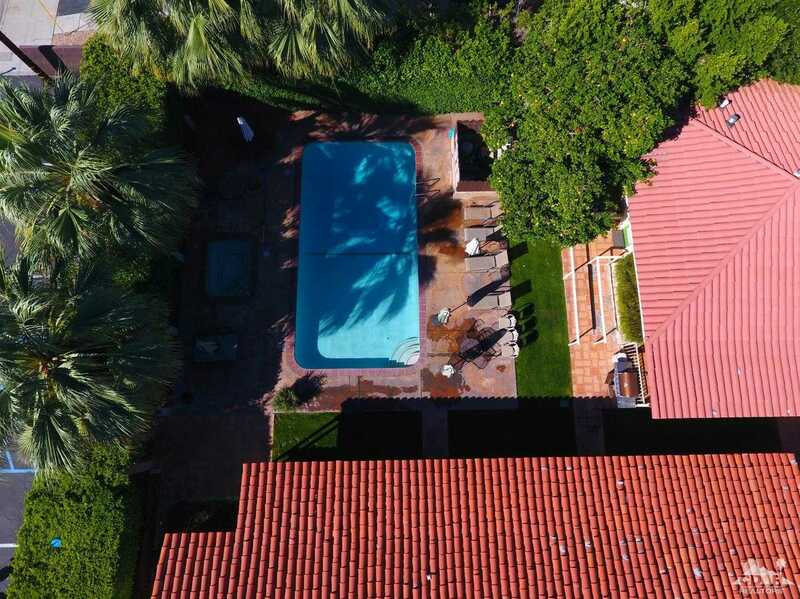 The property is private, walled and gated, with large pool and spa. Local lore and previous owner report that Marilyn Monroe stayed in cottage #4 in her early Palm Springs era, The privacy and spaciousness of this vacation compound create abundant possibilities to explore for rental income and creative uses – currently a permitted vacation rental vacation compound. Could also be private estate – small hotel – apartments – multi generational home – Airbnb bed breakfast – event venue? The property might also be used for an intimate Assisted Living or Recovery center. The feel of this resort getaway is vintage California with Palm Canyon Drive nearby – just a few steps away.